Welcome to our ultimate guide to the most epic of the beard styles. 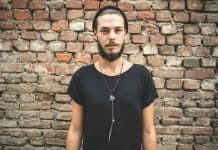 This list includes ten different types of good looking facial hair and mustache styles, and you are certainly going to love them. As many as there are men, as many there are types of beards as well. No two beards look exactly alike, and we all have unique head shapes and ratios between nose, lips, and eyes. 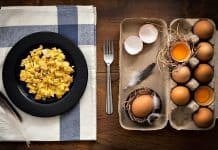 This opens up a wide realm of possibilities for testing different beard styles, and depending on the density and thickness of your growth, it’s possible for you to try all of them or some of them. 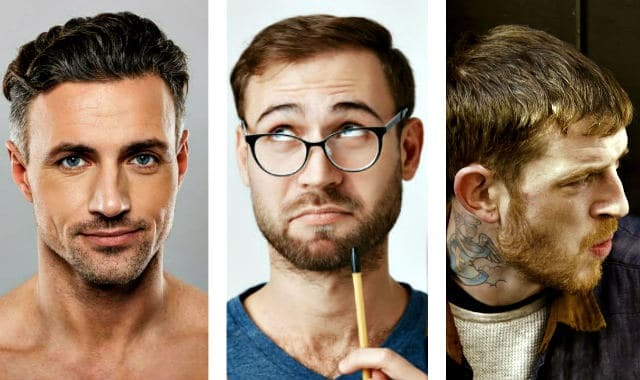 In the unfortunate scenario that your beard isn’t growing well enough to support any of the styles below, do know that we have also released a massive 9 step guide on how to grow your beard faster naturally. But for now, let’s focus on some cool beards, so you can get ideas, motivation, and some guidance on your beard journey. 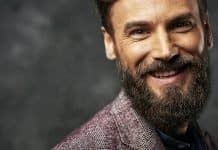 From the BeardStache to Balbo, our list features some of the best looking facial hair designs for all types of beard coverage, from super thick and full to thin and patchy alike. This is easily the most popular and one of the most respected full beard styles for men. The naturally full facial hair style features a long and untamed chin growth that usually hides the neck completely, with a bushy mustache that is often trimmed only from the top of the lip. 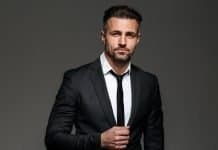 To keep the shape and downwards growth, the sides are often trimmed a bit shorter, reducing the round-face effect that some men get from growing out their beards and keeping the style extremely masculine as well. With a beard of this length, it’s obvious that you need some good genetic potential to make it work. 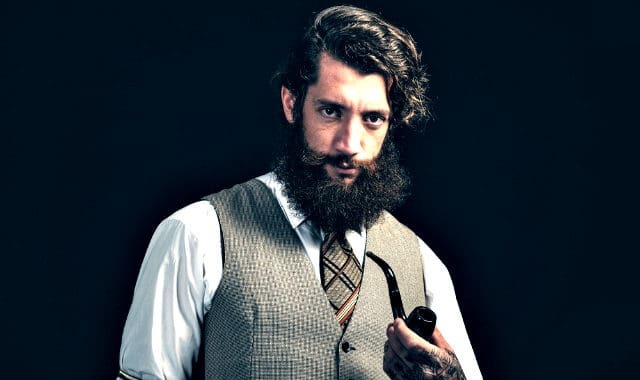 If your beard is patchy and thin, then you may need some extra assistance to be able to pull this style of beard. It’s also crucial to understand that the longer the beard, the more you have to maintain and care for it as well. The natural sebum oil of the skin is rarely enough to keep the full length of the mane moisturized, which is why beard oil becomes more and more important. Without regular beard brush & beard comb use, it will also be quite difficult to keep this lengthy of a beard in tip-top shape. Lastly, with a coarse long beard, you will usually wake up with a “bed beard”, which is almost impossible to tame without beard balm and some sea salt spray every morning. Even with those, some men find that they need to take a morning shower to be able to tame their beards. 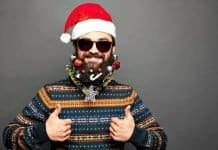 The “BeardStache” is one of the more popular new beard styles of 2018 and with the current hype surrounding it, I can see it being one of the more popular facial hair styles of 2019 as well. and Jeff Buoncristiano (also a model and YouTuber). So what is a BeardStache exactly? It’s a thick and prominent mustache, combined with a really short beard – often heavy stubble – but sometimes also a shorter beard. The idea, however, is that the mustache clearly overpowers the rest of the facial hair in density and length. Growing and maintaining this style of facial hair is relatively simple. All you need to do is to maintain the mustache with some beard & mustache scissors, and occasionally give the rest of the beard a short trim with a beard trimmer or stubble trimmer. Mustache wax is usually the go-to styling product that goes well with the BeardStache, and usually, that’s all you need to keep it in mint condition. Men who should try this style of facial hair are those who have thick & dense mustaches and larger upper lip area, with a prominent jaw-line and more square shaped face. 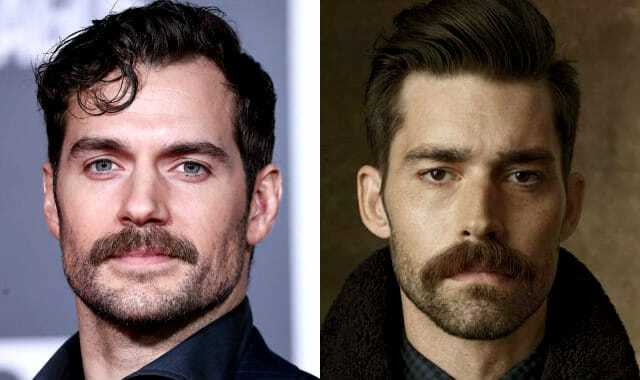 Men who should probably pass the BeardStache style are those with weak and jawlines, round face-shape, thin mustaches, and/or small upper lip area. Stubble beards are exactly as the name implicates; different lengths of a stubble. Long stubble: 9-14 days of growth on average. 6-8mm in length. So what do you need in order to grow and maintain this style of beard? Well, nothing other than some quality beard growing genetics (or a helping hand at boosting beard growth), and possibly a good stubble trimmer. Product-wise, I would probably go for the Conair Man Super Stubble trimmer or the Norelco series from Philips. As for maintaining the stubble beard, simply choose the variety you want. 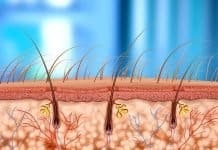 The use the stubble trimmer to maintain that length. That’s it. This is why the stubble is one of the more popular beard styles. It’s super easy to maintain, doesn’t require many products. 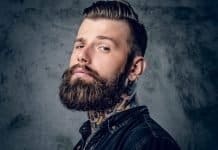 On top of all this, studies have found that out of all the styles between clean-shaven and fully bearded, women rate men with stubble beards the most attractive. Named after one of the fellows from Mussolini’s fascist squad; Italo Balbo, the Balbo beard style is a really interesting one. 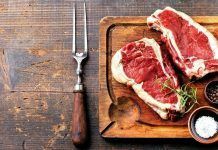 It’s popular among men with weaker cheek growth but strong mustache & chin growth, but some men with full beard growth also sport it since it can give a slimming effect on the face. This style of facial hair suits multiple face shapes, but is considered best fit for the “diamond” shape. What constitutes a Balbo beard? A mustache that doesn’ connect. Some visible growth on the chin area. A soul patch below the lower lip. It doesn’t take much effort to maintain this type of beard, just an occasional trim on the ‘Stache and chin should be enough while shaving the cheeks every couple of days. Product-wise, a mustache wax or some beard oil should suffice. Popular actors sporting the Balbo beard include Johnny Depp, Robert Downey. Jr, and Christian Bale. Some say the Chevron is the only real mustache style there is, and if not anything else, at least it’s iconic. Basically a really thick and full mustache. Not a walrus mustache that goes over your mouth, but a thick bar that usually covers the upper lip underneath it. 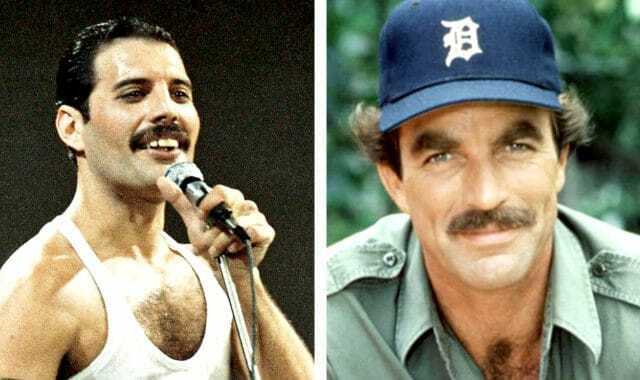 Some popular fellows who sport or used to sport the Chevron ‘Stache include the late Freddie Mercury, Tom Selleck, and Nick Offerman. There’s no “ideal” face-shape for the Chevron mustache, as it suits most of the shapes anyway, but it’s best to try the style only if your mustache growth is thick and if your upper lip area has some height in it. How to care and maintain the Chevron mustache? Well, not much care is needed. Mostly just let it grow and occasionally snip it a bit with scissors. You may find that some ‘Stache wax and a mustache comb can provide help with the style, but a lot of men don’t even use those. Just like Balbo, the Garibaldi beard style is also named after an Italian guy; Giuseppe Garibaldi. 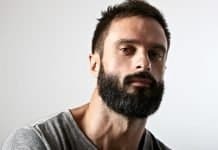 This facial hair style is really cool and my personal favorite, as it requires no real effort to maintain and provides a really masculine look, giving a nice boost to your jawline and chin. So what makes a beard “Garibaldi”? Generally a bit “unkempt” look with no sharp lines. Around 4-8 inches in length covering the full facial hair area. The bottom part is shaped into a wide round shape. Depending on your natural beard growth rate (the average beard grows 1/2 inch per month), it should take between 6-10 months to go from clean-shaven into proper Garibaldi beard. 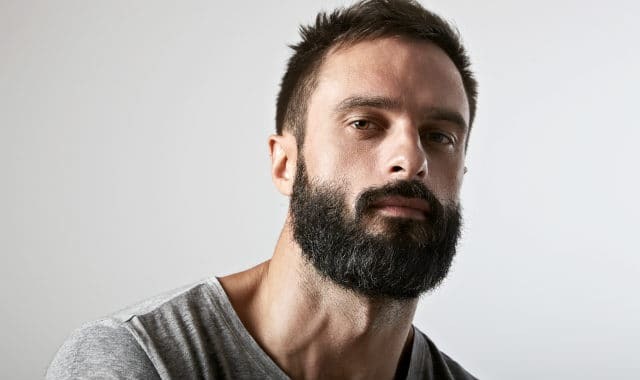 The care and maintenance of this style of facial hair come down to mostly trimming the sides a bit from the top, while letting bottom part grow out naturally, forming the wide round shape. To help tame the beard in place, beard balm is usually my go-to product. If you want to go with minimal upkeep, just get some good scissors and a balm with nice hold, that’s gonna cover all your bases. The Van Dyke is another popular option for men with patchy and weak cheek beard growth. It’s named after a 17th Century painter called Anthony Van Dyck and has come to be one of the most popular facial hair styles in the World. 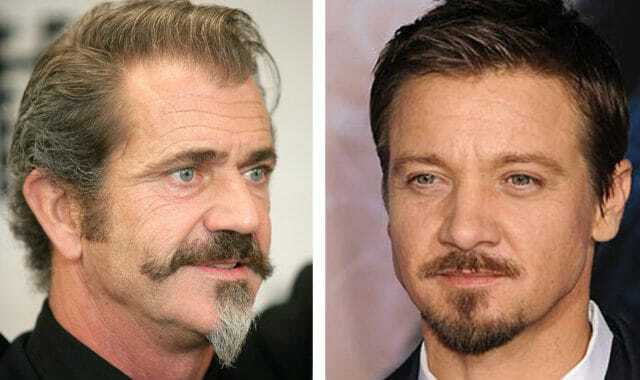 There are many variations of the Van Dyke, but the idea is to have a mustache (usually with the ends curled up), a soul patch, and a slightly pointy and thin chin growth, with shaven cheeks. Rather similar to the Van Dyke is a goatee style called “the anchor beard”. Many rulers and noble people were fond of the Van Dyke style, which is probably why it’s associated with selfishness, cockiness, and pompousness. To maintain and care for this beard style, all you need is a shaver to keep the cheeks nice and clean, with a trimmer or scissors for the rest of the facial hair. 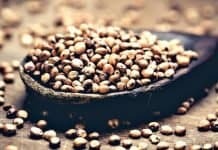 Beard oil can be used, but due to the short nature of this style, the sebum oil produced by your skin is usually enough to keep it moisturized. A couple of years ago, the lumberjack beard was a huge thing. But what even really is a lumberjack beard? 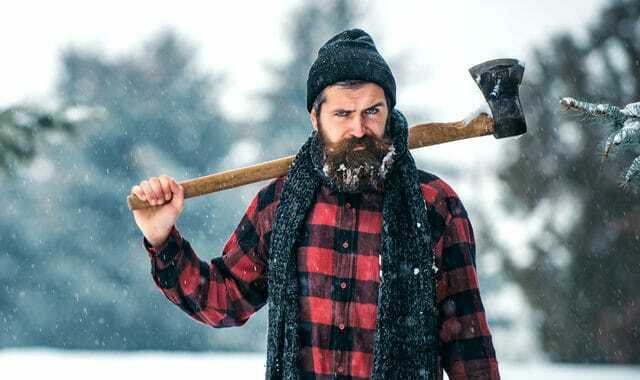 Well, minus the flannel shirt and an ax, the lumberjack beard style is quite simply; a style that you’d normally see in an utterly manly timberman. It’s a thick, bushy, wide from the bottom beard that is unkempt and usually sported by men who don’t glorify or care for their beards. It’s just a thing that grows on them. So how do you grow and care for a lumberjack facial hair style? Well, you don’t. And it’s not even a lumberjack beard if you’re not a timberman yourself. It’s just a normal beard that is somewhat unkempt. 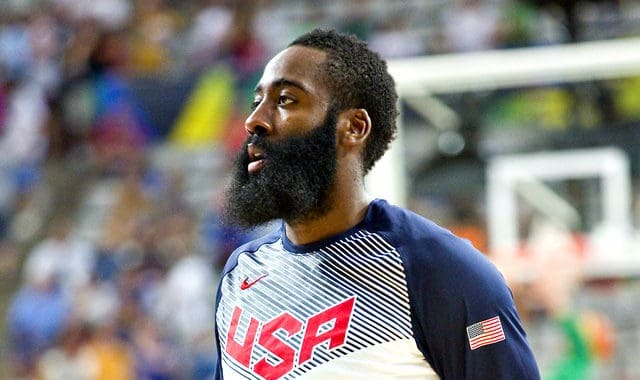 James Harden has arguably one of the best beards in all of the sports. And by now, it has become a standard style icon of its own, many men now looking to grow their own “harden beards”. But how can you grow one and should you even? The answer is that you need to have some great genetic potential, and specific type of beard hair to pull it off looking like his. 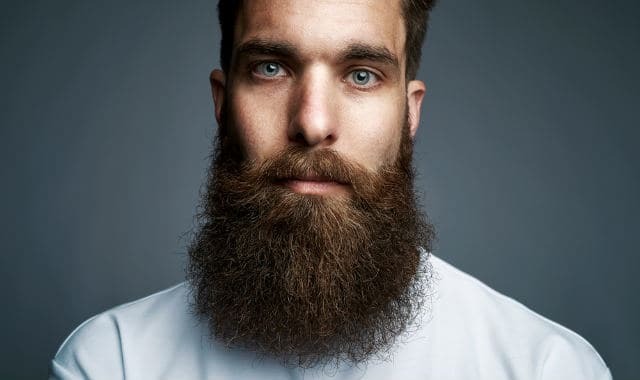 In all honesty, you shouldn’t probably even go for this type of beard without a hair structure of either African American or Middle-Eastern male. Simply because you need that thick, curly and scraggly black beard to even attempt this, and most Caucasian or Asian men just don’t have that kind of growth in their faces 99% of the time. 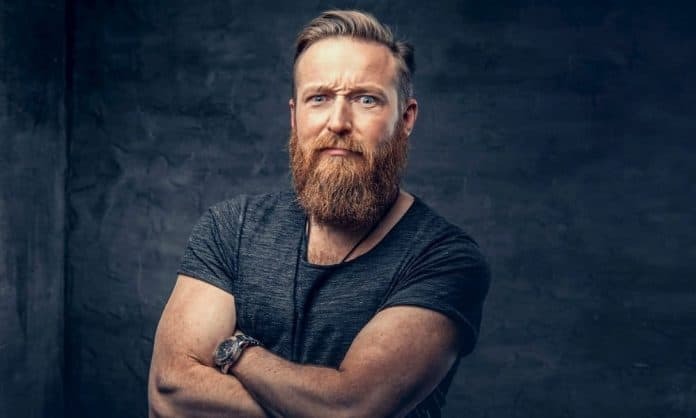 If you can go for it, a Harden style beard is basically a long full beard, trimmed from the sides to even length, with a sharp boxy bottom, and a clean-cut round-edge upper cheek line. It’s suggested that you go to a barbershop if you want to achieve this look instead of trying to pull it off at home by yourself. For the care and maintenance; some beard oil, beard balm, and possibly beard shampoo should suffice, with a firm boar bristle brush and wide-toothed beard comb coming in handy as well. The idea is to not touch it, meaning trim or cut it, for 365 days. Leading to an unkempt, yet godly 6-12″ beard depending on your growth rate. If you want to embark on a yeard challenge, you should trash your razor and leave the trimmer alone. Some do clip the stray hairs with scissors during the 365 days, others choose to leave it completely natural. 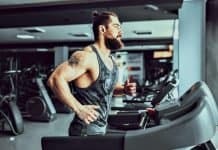 Whichever suits your case, know that beard oil, beard balm, and beard shampoo (perhaps even a conditioner as well) will come in handy during the progress. I hope you enjoyed these ten different beard and mustache styles. No matter what your facial hair is like, thick, thin, patchy, or whatever, you can definitely utilize some of the styles here. Maybe even all of them. What’s your personal favorite? Let me know in the comments. I’ll be rocking a Garibaldi as I always do.